NATASHA Exelby wasn't the only newsreader to make an epic blunder on live television this week. 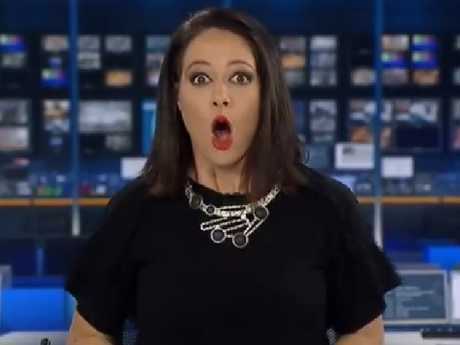 While all eyes were on the ABC reporter - whose reaction to realising she was back on air has gone viral and prompted the network to take her off air - another blooper almost managed to fly under the radar. 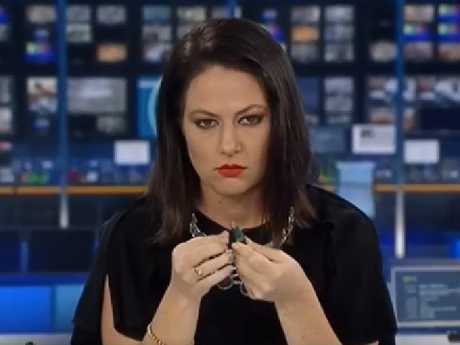 During a live news broadcast on Sunday night, Channel Seven's Adelaide presenter Jessica Adamson was caught out dropping the F-bomb. After reading the promo for an upcoming segment, Adamson could be heard muttering "f**k" in frustration - obviously believing the microphone had already been turned off. "Ahead on Seven News ... exclusive details on funding cuts that it's feared will cost lives, and the Big Ben cover-ups: why its famous bongs are about to fall silent," Adamson said, before dropping the explicit word. Meanwhile, viewers, media colleagues and politicians have hit out at the ABC over its harsh decision to axe Exelby in the wake of her mistake. The short clip of the incident, showing the seasoned presenter "daydreaming" on the job before making a quick recovery, promptly went viral.